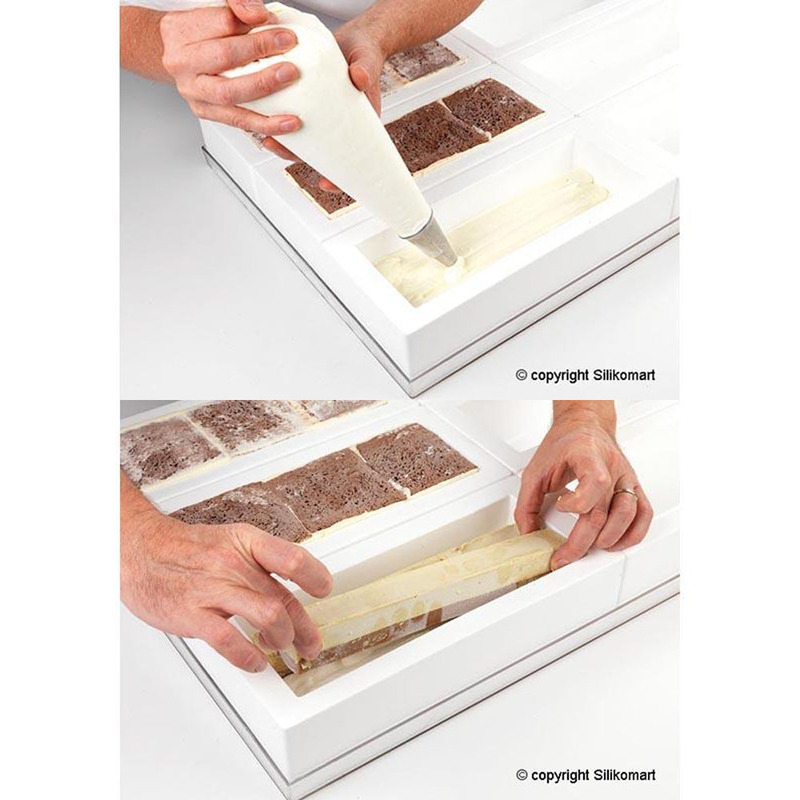 "Tortaflex" (as the company calls it) silicone mold with a log shape, or "buche" in European. Volume of 250x90 mold is 44 ounces (1.3 liters). 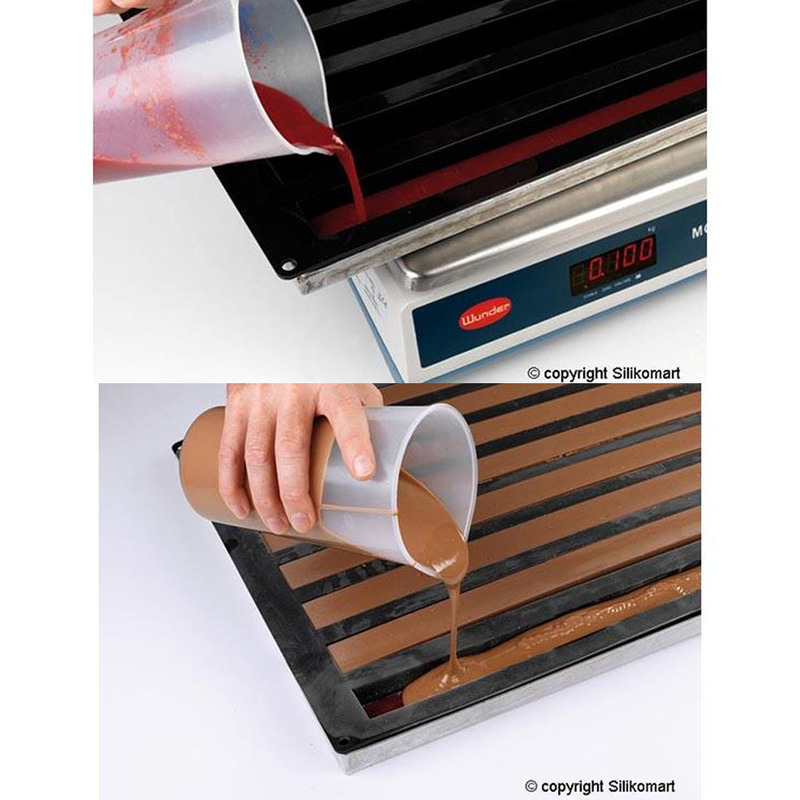 Flexible silicone mold resistant to cold down to -76F (-60C) and heat up to 446F (230C), letting you bake a cake or make ice cream and get it out easily thanks to the non-stick property and flexibility of the mold. The mold's integral frame makes it stable, and its suppleness lets you push your baked or frozen product out from the bottom. 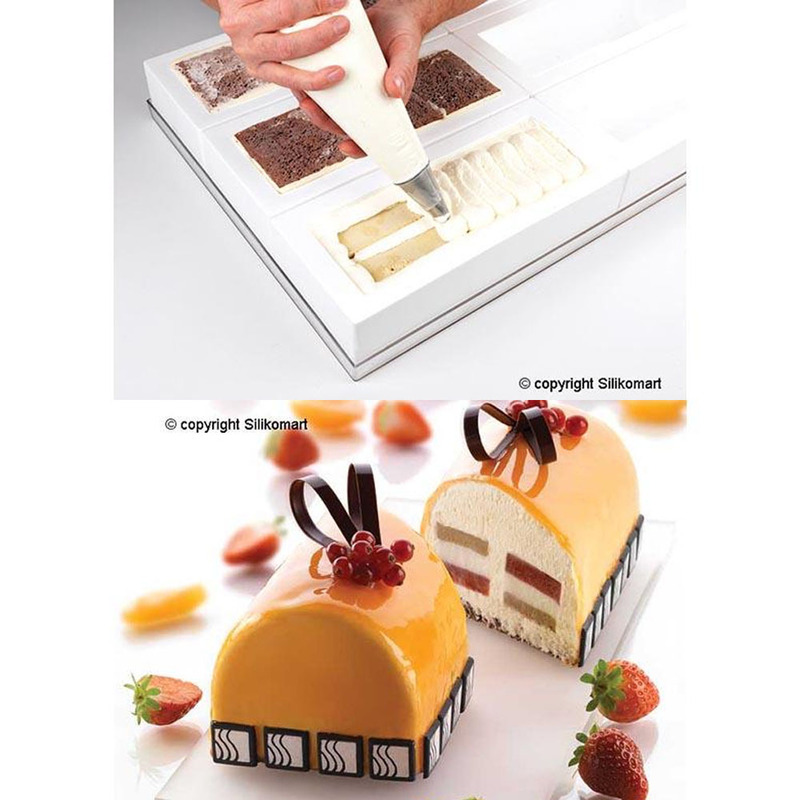 Dessert made in TOR250X90 can be decorated with the wood-design TEX01 silicone mat. 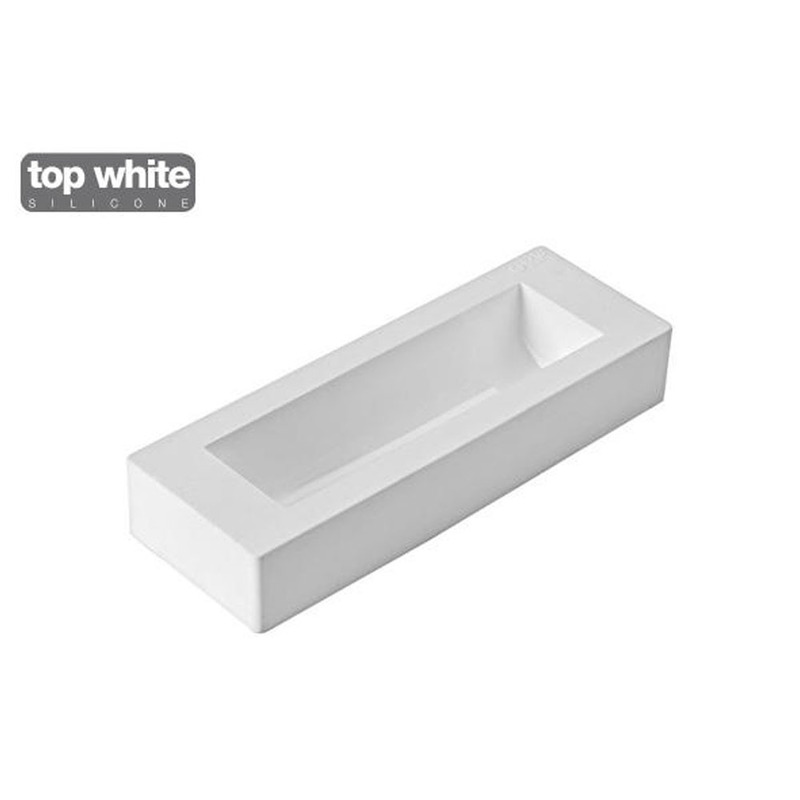 perfect Bought this as "insert" for larger buche mold. Worked perfectly. Love it! I was skeptical when I first received this because the back side is hollow. I'm a soap maker, not a baker, so I need lots of stability. This mold held the soap batter without bowing, so I am very pleased.